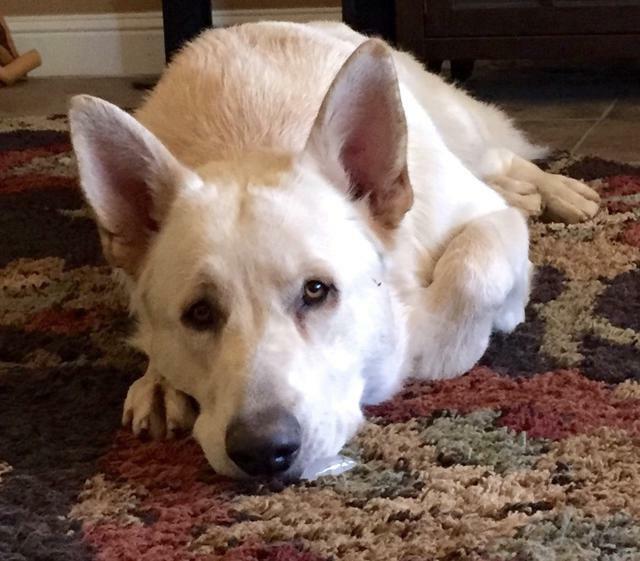 There are some common misconceptions about white GSD. 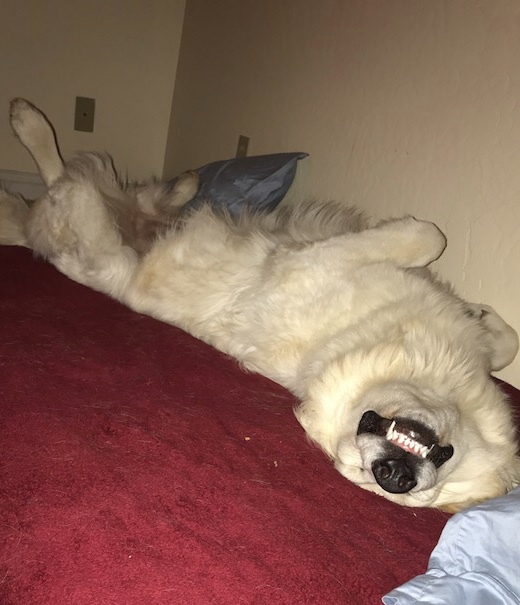 Yes, they are regular German Shepherds, just white. Yes, they can be registered with AKC and CKC. 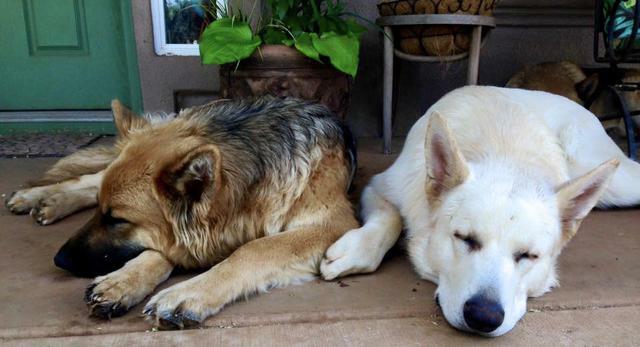 They are just like classic black and tan GSD, just white. 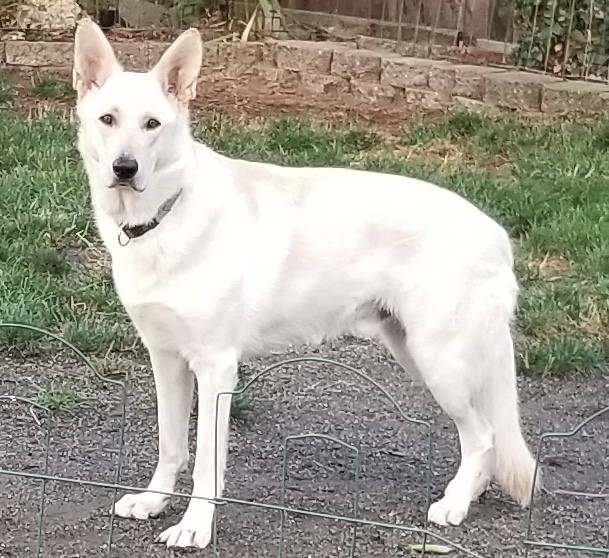 What we have found from 40 years of breeding GSD is that the healthiest, most stable temperament white GSD come from parents that are not white. 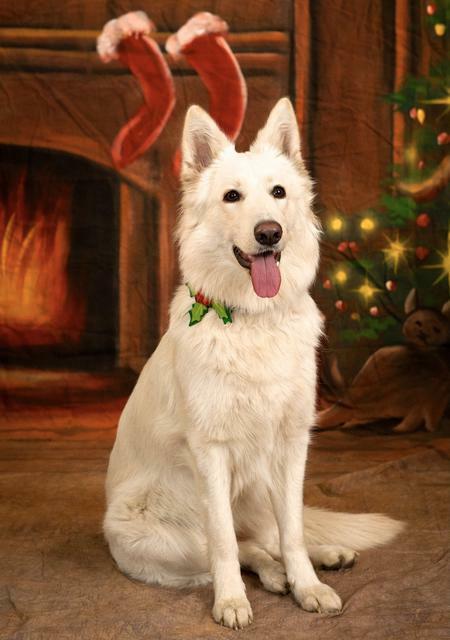 We do NOT breed white to white GSD, ever. 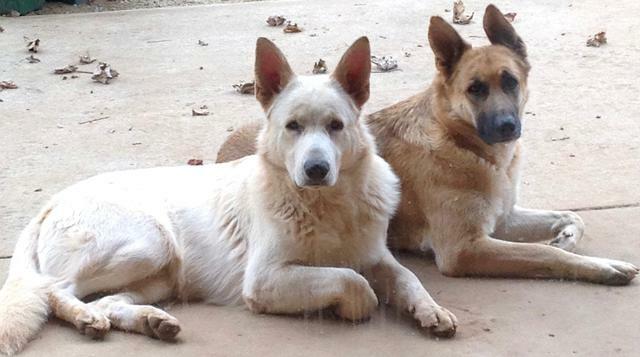 Our white boy Lucca and his sister Cinna, both OFA good hips, DM clear.... fabulous dogs. 1 year old. 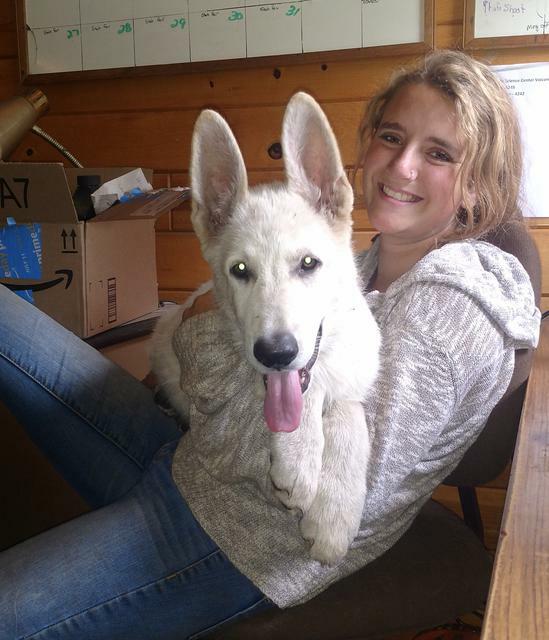 One of Sasha's lovely white girls, Indi. 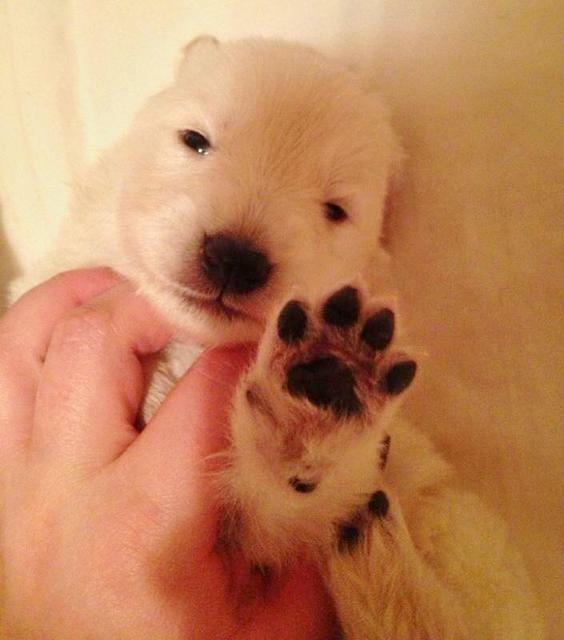 Our white pups have fully black pigment by the time their eyes are open at 10 days old. Lucca has beautiful eyes and expression! Lucca adores his mom, Gracie. Another lovely 6 month old male, Finnbar. 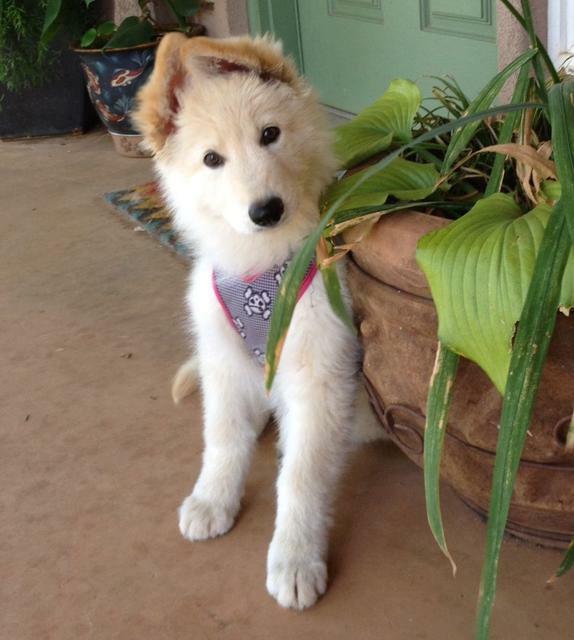 Our stud dog Argus as a six month old pup - he already showed so much promise. 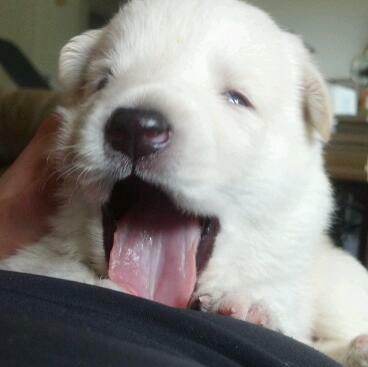 He's sired a litter of pups that has turned out fabulous. Argus has OFA Excellent hips!! 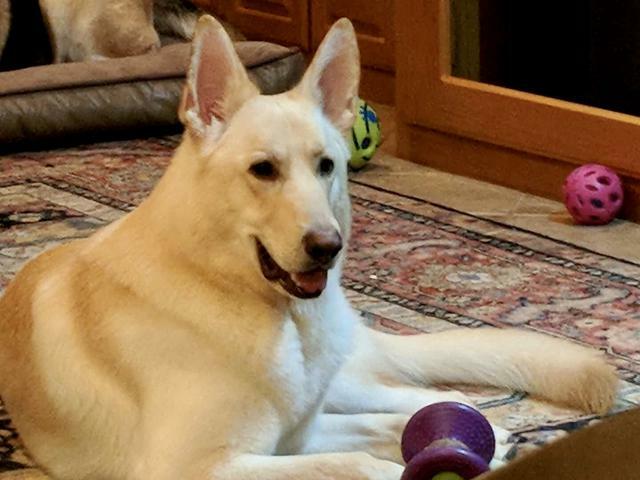 Titus is a beautiful male- a solid 105 pounds and just a fabulous boy with a wonderful temperament. His owners are thrilled with him! 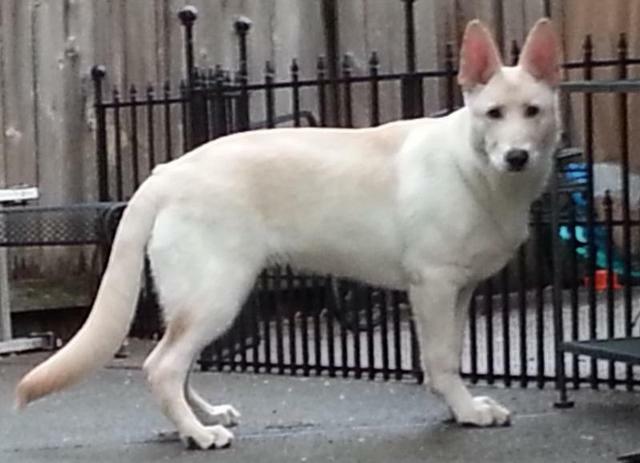 Koa is a young male, 6 months old, out of our stud dog Argus. 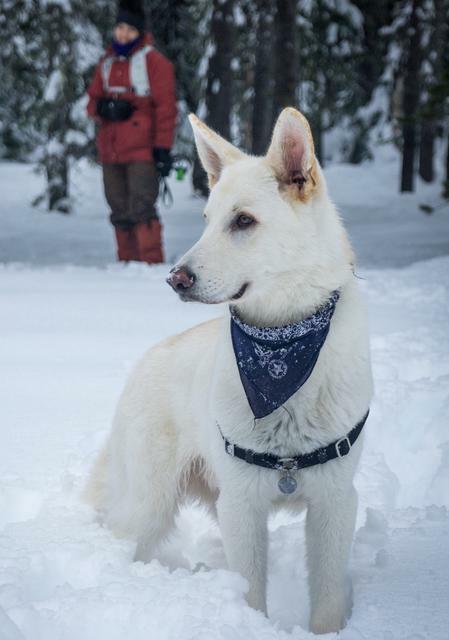 Another one of our huge handsome pups! 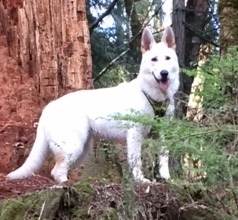 The gorgeous Argus, our OFA excellent stud dog. A very happy Teddy, the huge Argus son.